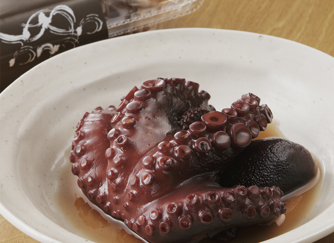 Located near the sea of Chita peninsula, we only use local, high quality octopus. With careful preparation, we cook octopus until it turns very tender. Try our unique and famous sardines. 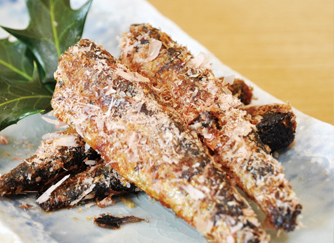 First grilled and slowly cooked by a skillful chef, tosani-style sardines coated with katsuobushi is our unique specialty. ■Place your order on inquiry page. Fill in the blank and choose ‘Product purchase’ from ’Inquiry item’ and write the product name and quantity on ‘Type of inquiry’. We’ll contact you soon and let you know availability and payment method. Telephone order is available but it might take you longer.